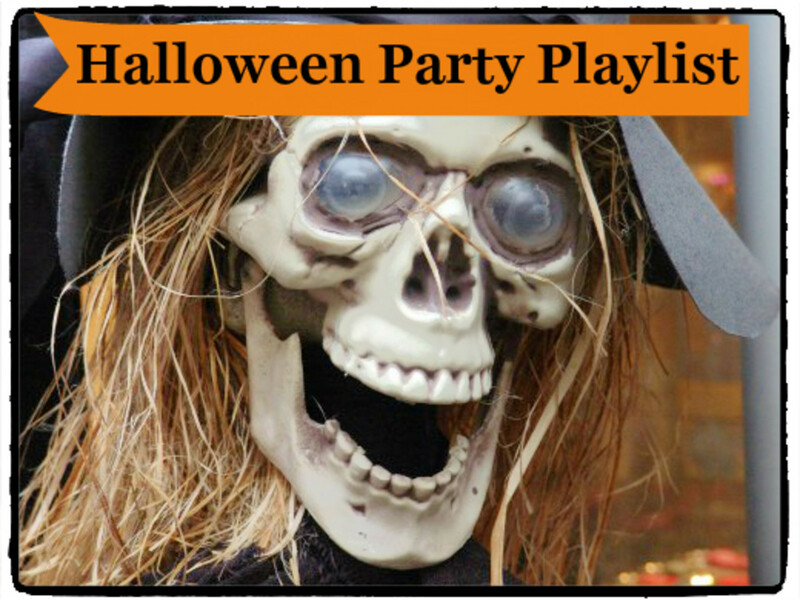 The perfect soundtrack for your Halloween party! Halloween has always been my favorite holiday. Not only do you get to wear a costume and eat candy, you do NOT have to visit relatives for their boring annual dinner parties. Add some appropriate music to your evening, and you've got all the elements necessary for a spooktastic time. This is simply a list of my personal favorites (in no particular order), so it's mostly rock 'n roll, but you'll find a few other genres in here, as well. 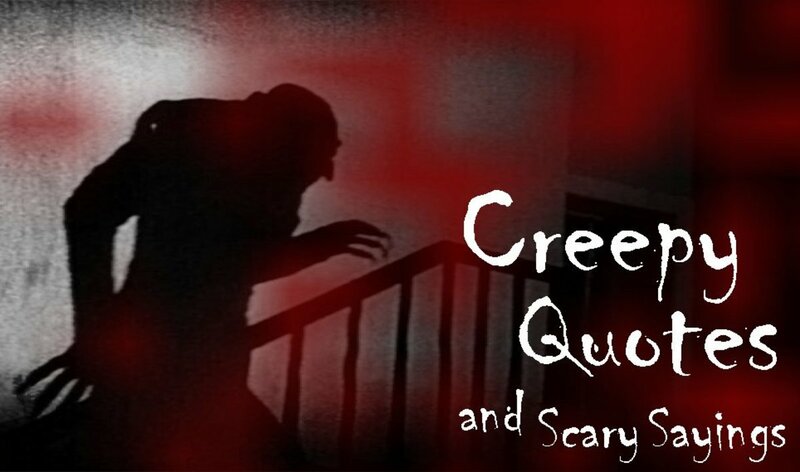 I've listed more contemporary songs, purposely leaving out music that was composed specifically for movie soundtracks - for example, John Carpenter's Halloween theme. Feel free to sound off about anything I may have left out. I hope this article is as much fun to read as it was to assemble; I really enjoyed creating it. Happy Halloween! This song has some interesting lyrics, but I'm not sure what else to say about it other than it has memorable piano chords. Werewolves are why it's on the list, obviously. A little trivia? Fleetwood Mac members Mick Fleetwood and John McVie joined Zevon on this track. There may not be any overt references to witches, werewolves, monsters, or the ilk, but this song has a certain mood that fits right in with Halloween. The sound of the rain and Jim Morrison's whispering make it a little spooky. Also, who can resist the mellow feeling you get while listening to it? The evening wouldn't be complete without a little paranoia. And a lot of nostalgia, if you remember this video. With some help from Michael and Jermaine Jackson on vocals, this song was all over the radio in 1984. They're not really applauding a werewolf. Remember Wolfman Jack? He was a popular radio personality way back when. Actually, the entire first album is fitting for Halloween; it has a very dark vibe. However, I chose this one, because I particularly like it. The harmonica lightens it up a little. This song always makes me think of the John Landis film An American Werewolf in London. That's the first time I remember hearing it, and it was certainly appropriate for the scene, although John Fogerty wasn't thinking of werewolves when he wrote it. Apparently, he was recalling a storm from another movie. This probably goes without saying, but if there are small children around, you might want to leave this one out. Dee Snyder tends to sound more like he's shouting than singing, which can be a bit frightening to the tender hearted. The song is heavy, loud, and "You're gonna burn in hell" is repeated. 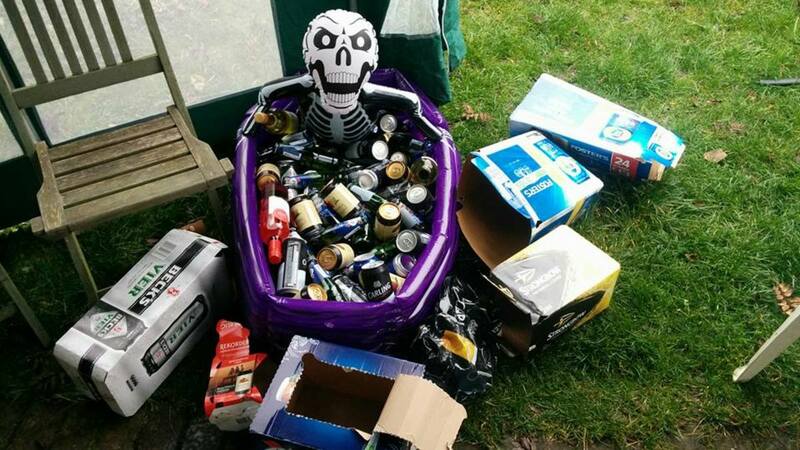 This is a great selection, if you are hosting a haunted house. I know I stated that this list is in no particular order, but this song would probably be at the top of my list. I never get tired of hearing it. Released in 1966, it has a groovy psychedelic sound. Here's another one I could never get tired of hearing. Sure, it's about love and death, but it's got an unforgettable guitar riff and plenty of cowbell. Godzilla, also by BOC, is another good one for Halloween. Play the video. Get your friends to do the dance with you. If you don't have any friends, get your dog to do the dance with you. (Dress him up like a zombie first). What would you rather listen to? None of the above - I can't stand any of it! Both songs are included, because they are almost always played together; the first one seamlessly segues right into the next. Apparently Miss Molly is the Devil in the blue dress. This is the only song on my list that is entirely instrumental. It's heavy without being too heavy, and it features some pretty cool sounds. If you've never heard it, give it a listen. Rock on! The song is from the album of the same name, and it was the last one to include frontman Bon Scott. The album was released in the summer of 1979, and Scott died less than a year later. According to Angus Young, the song is actually about what it was like to be on tour together for several years. Here's another one that's not really meant for the kiddies, especially if you're planning on showing the video. The song contains several horror film references. For instance, it includes music from a trailer for Wes Craven's The Last House on the Left. Ho ho, hee hee, ha ha... This manages to be hilarious yet irritating at the same time. By the end of the song, you really feel as if you might go insane, if you have to continue listening to it any longer. "I am the chill that's in the air" - creepy! This is one of the heavier songs on to make the list, and there's nothing fun about it; it just rocks. It's a good choice for playlists created with a more serious ambience in mind. Fun, fun, fun! Really what else is there to say about this novelty song? It was released as a single in the summer of 1962, and it is just so much silliness. Here's one from the Man in Black. The images this brings to mind are macabre, and the instrumental part of the song really plays that up. There's also a moral to it, as the cowboy who sees the ghost riders is being warned that if he doesn't straighten up, he will wind up joining their ranks. Here's another little ditty that kids will enjoy. It's a silly, fun song that everyone can sing along to. This song actually made it to #1 on the Billboard charts in the summer of 1958. This one reached #2 on the Billboard Hot 100 back in the summer of 1966. The Big Bad Wolf is trying to earn the trust of Little Red Riding Hood, promising to keep his sheep suit on while he escorts her safely to her grandmother's house. It's kind of goofy, yet it still manages to be unintentionally creepy at the same time. 22. Ghostbusters - Ray Parker Jr.
What ever happened to this guy? He had a #1 hit with the title track from the popular 1984 film Ghostbusters. The video is worth a watch, and of course a few laughs, with plenty of random celebrity cameos including Chevy Chase, Al Franken, and Irene Cara; it also features several clips from the movie. This is such a great song that I always feel ripped off when I hear the short version, which was presumably cut to be played on the radio. The full version goes on for more than seventeen psychedelic minutes, and it will give you an eargasm. It doesn't matter that the song isn't about ghosts, warlocks, or goblins; the creepy/cool organ music earns it a spot on my list. CCR does a great version of this song also. For some reason, this always conjures images of Voodoo rather than witchcraft, even though witches are the ones who are typically thought to cast spells on people. Neither Jay Hawkins nor John Fogerty look like witches to me though. 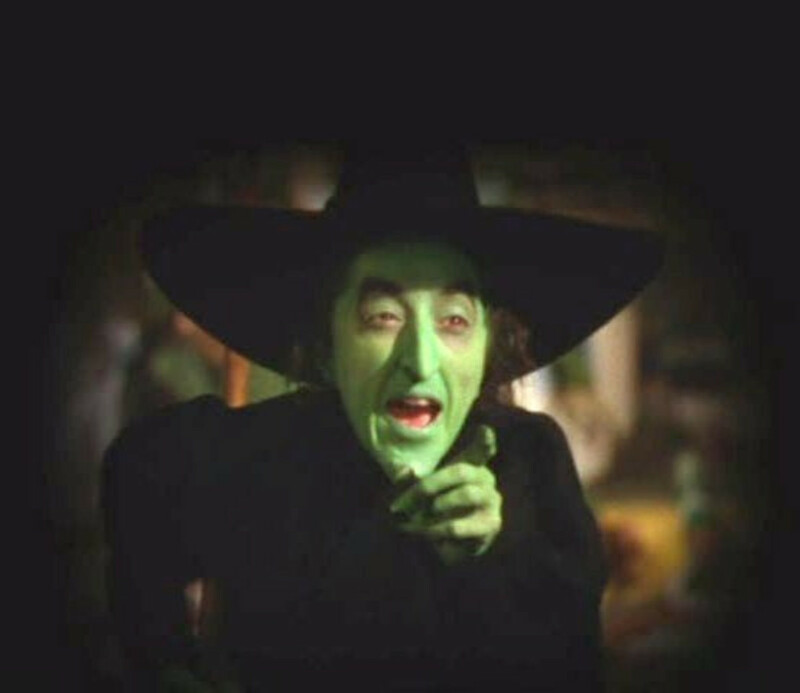 Written by Don Henley and Bernie Leadon, this witchy woman sounds like someone to steer clear of, especially men. Seriously though, it's a great song with a mellow, relaxing vibe. It'll hold you spellbound in the night. You definitely did a lot of work on this cute lens. Blessed and sent out by google plus. I looked forward to Halloween every year as a kid. It was better than Christmas. Nice lens! 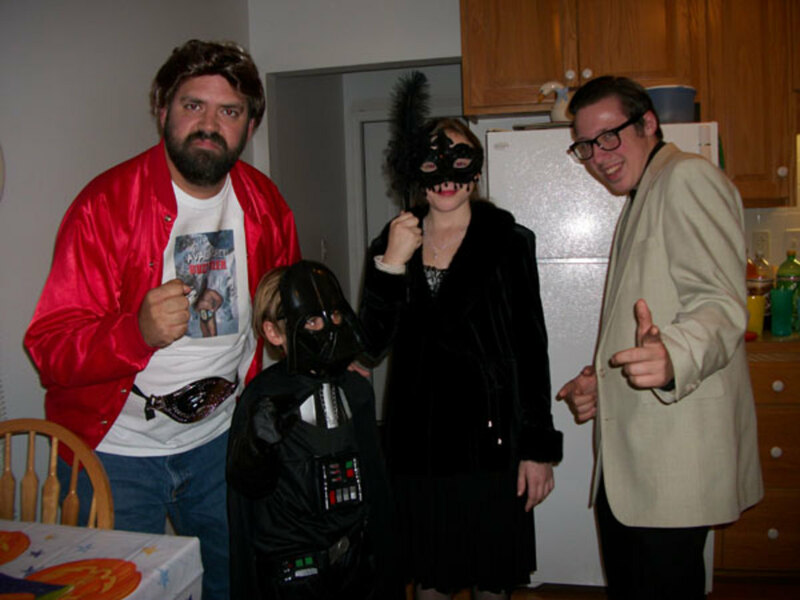 I'm also a fan of Halloween -- particularly for the fun family costume parties! Congratulations on a Squidoo masterpiece! Happy Halloween! Love your lens!